Since fall 2015 the California Garden and Landscape History Society (CGLHS) and the Huntington have presented talks at the Huntington on landscape and garden history in California. Join us for our upcoming lecture! 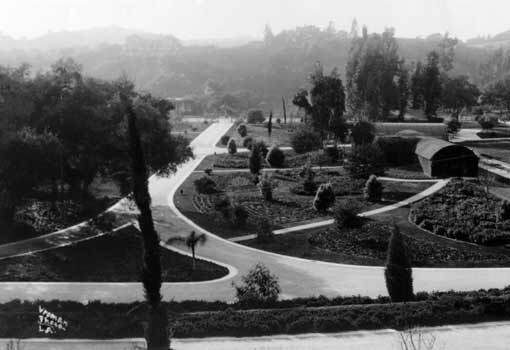 When Adolphus Busch purchased the Cravens estate on Pasadena’s "Millionaires’ Row” in 1904, the seller stated that he was selling because there was not enough land to develop a proper garden. Busch, the German brewing magnate from St Louis, soon proved him wrong. 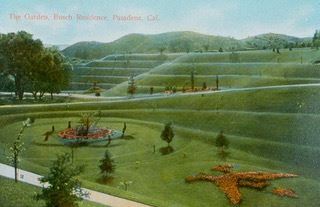 Within a year Busch was buying up land from his neighbors, eventually acquiring some 60 acres stretching down to the bottom of the Arroyo Seco. Opened to the public in 1906, the gardens featured exotic plants, dramatic terraced hillsides, a rock grotto, rustic bridges, waterfalls and ponds, and “fairy scenes” depicting tales from Grimm: Snow White with the Seven Dwarfs, Cinderella, and Hansel and Gretel. Many of these features survive in local gardens. Local historian Ann Scheid writes and lectures on historic architecture, gardens and city planning. She is also the curator of the Greene & Greene Archives at the Huntington, and a board member of the California Garden and Landscape History Society.